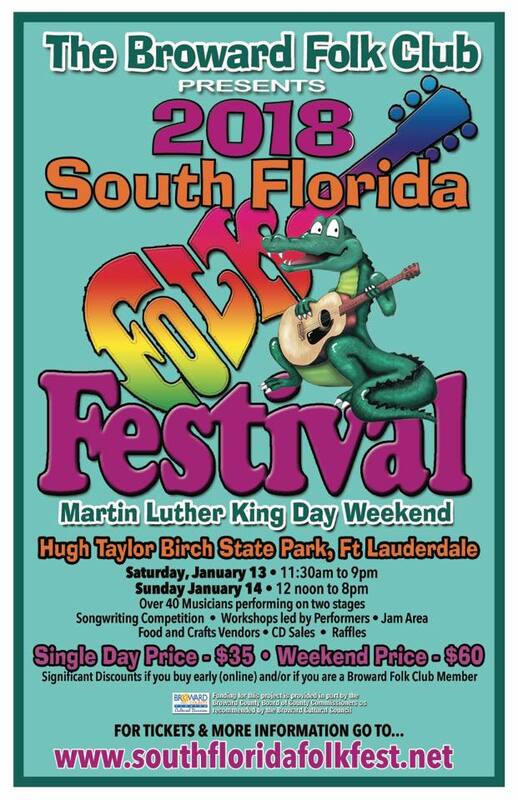 This South Florida Folk Festival promises to be the best one yet with fantastic performers, workshops and jams with some the best headliners ever! 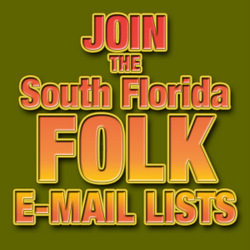 Remember, members get discounted ticket prices and tickets to our festival would also be a great holiday gift! I don’t remember who said this but memories last way longer than stuff. 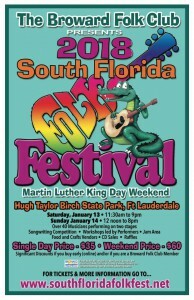 Save the dates, January 13 – 14, 2018, Martin Luther King Weekend for a festival to remember. With your help and support we can keep growing our event in furtherance of our mission to preserve, promote and support acoustic music.